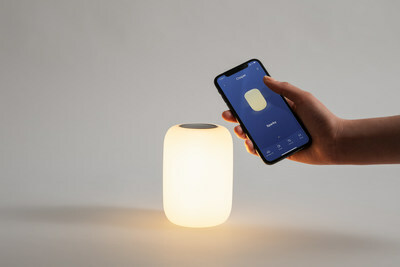 LONDON, Feb. 8, 2019 /PRNewswire/ -- Casper was founded with the mission of improving sleep. In 2014, Casper invented the perfect mattress. Universally comfortable, it sold out on day one, and grew its reach from a cult following to an internationally recognized design sensation with more than a million happy sleepers. Casper is now taking its mission a step further by improving the sleep environment -- beyond the bed. With the launch of Casper Labs, Casper applied millions of data points and years of expertise in sleep research and science toward addressing a top environmental factor -- light —that often gets in the way of a good night's rest. What emerged is the next bright idea in sleep -- the Casper Glow. It's a magical light for better sleep. Light influences our sleep-wake cycles, and even impacts our mood and ability to relax. The Casper Glow is specifically created to help us wind down naturally, for better, deeper sleep. While most lights keep us up, Glow helps lull you to sleep. It's a warm, gradually dimming light that cues your body for bed to help establish healthy sleep patterns. Lighting notorious for keeping us awake is that of telephone and computer screens, and so it's no wonder that it was voted the top cause preventing Brits from falling asleep. 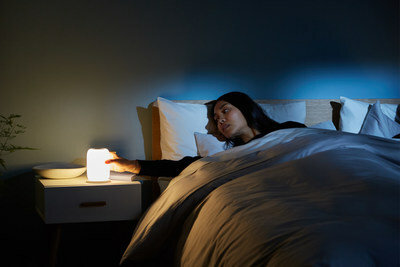 Exposure to artificial 'blue' light during the evening and at night is known to block the effects of brain cells that help promote feelings of sleepiness, as well the "sleep hormone" melatonin. Constantin Eis, Global MD for Casper comments "It's alarming to see how unhappy Brits are with their current sleeping conditions – and even worse to hear that the wrong kind of lighting is one of the key factors keeping people from drifting off each night." "Light influences our sleep-wake cycles, and even impacts our mood and ability to relax which is why it's so important to have the right kind of light in your bedroom. At Casper, we've been on a mission to create the ultimate sleeping environment, which is why we've just launched Glow - our new soft light, specifically created to help us wind down naturally, for better, deeper sleep."